With its well-deserved reputation as a honeymoon heaven, the Caribbean offers a long list of places to skip off to after saying those two eternal words. Considering all of the choices, we ‘do’ want to narrow them down—just a bit. Here are the best of the best. The experience at Hacienda AltaGracia is crafted to put you deep into nature to help you fall even deeper in love. The rooming experience doesn’t get any more open than this. The rooms, nestled on a gentle hill, have oversized glass openings, allowing there to be zero boundary between guests and the breezes and delicate scents of the Costa Rican air. The architecture offers seamless integration into the vast mountain ranges outside that poke into the blue sky. Complete with wedding packages, Hacienda AltaGracia is positioned to provide a honeymoon that’s both ideal and idyllic. Every room is custom designed to take full advantage of the picturesque scenery and to allow all five senses to enjoy all Costa Rica has to offer. Enjoy horseback riding in the sweet Costa Rican air either during the day or under the stars at night. Some of the world's most pristine beaches and perfectly shallow sandbars are found in Turks and Caicos, and their appeal is tastefully matched by that of Amanyara. 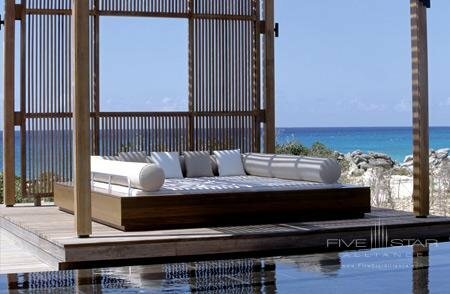 Set amongst the greenest scenery the Turks and Caicos Islands have to offer, Amanyara presents the ideal marriage of luxury and nature. The gourmet restaurants, Arva and Nama, offer Italian and Japanese cuisine respectively, which can be enjoyed either inside or against the background of their pristine pond. Boasting a circular bar, three- to five-bedroom suites, and a nature discovery center, Amanyara has just the right assortment of amenities to foster relaxation and fun. 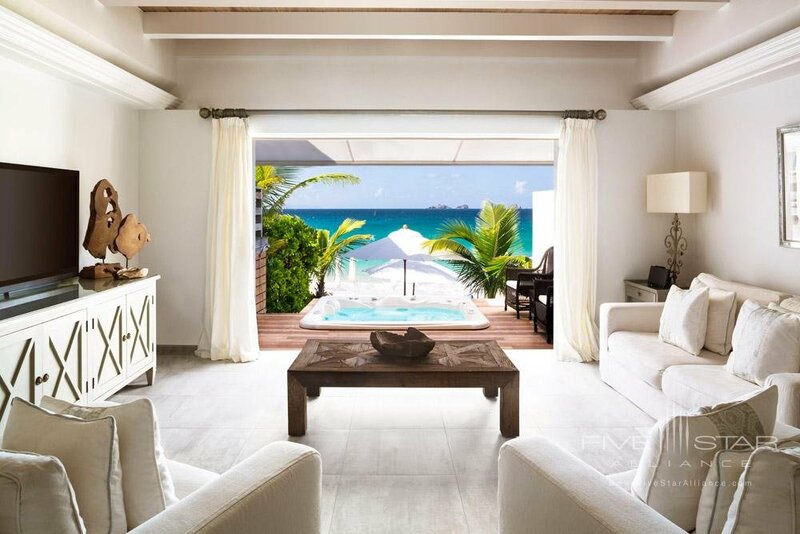 With classic French Caribbean architecture and gentle breezes throughout, Cheval Blanc St-Barth Isle de France is a thoughtfully designed respite ready to enhance the romance. Honeymooners can walk through the flowers and local greenery of the gardens or traipse over to the beach and plunge their toes into the white Caribbean sand. Its 61 rooms integrate guests intimately with nature, allowing honeymooners to strengthen their bonds, bound by nature. The focus is subtle artistic expression combined with finely crafted hospitality. Cheval Blanc even treats guests to a fashion show every week, bringing them into the sculpted experience. The creative experience is continued in the cuisine, with locally-inspired, French-designed dishes, finely crafted according to guests’ individual tastes. Cheval Blanc delights in providing both a wedding and honeymoon experience, even organizing massages at their spa and a sunset cruise in the Bay of Colombier. When it’s time to walk the bridge into what is arguably the most exciting phase of life, these destinations have everything a honeymooning couple could want. The sights, sounds, scents, and tastes of the Caribbean provide just the right setting to sail into a new future.